The company is promising to give between 500,000 and 3 million naira loan, free of collateral or guarantors. Money does not grow on trees, neither can one pick money on the streets. All that could be true for anywhere but Lagos, at least on the 1st of November 2017. You may say, you have not seen any money to pick since you've lived in Lagos. Well, it may well be that you have not been keeping your ears to the ground. A company called Royal Investment is literally dashing people money. 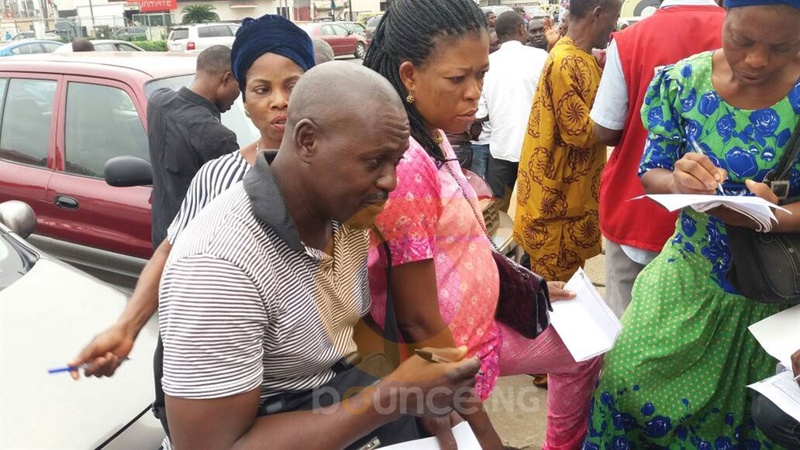 It claims to be an agent of World Bank and was at Ikeja on Wednesday to enroll interested beneficiaries. According to them, all an interested individual needed was to collect a form at 1,000 naira and then submit with 2 passport photographs. This will be followed by an interview session which would come immediately after the document submission. People that applied would then be invited to explain what they want to use the money for before the loan could be disbursed to them. The company said it targets 10 million Nigerians who are expected to benefit from the scheme. They claimed World Bank gave them the money to empower Nigerians. 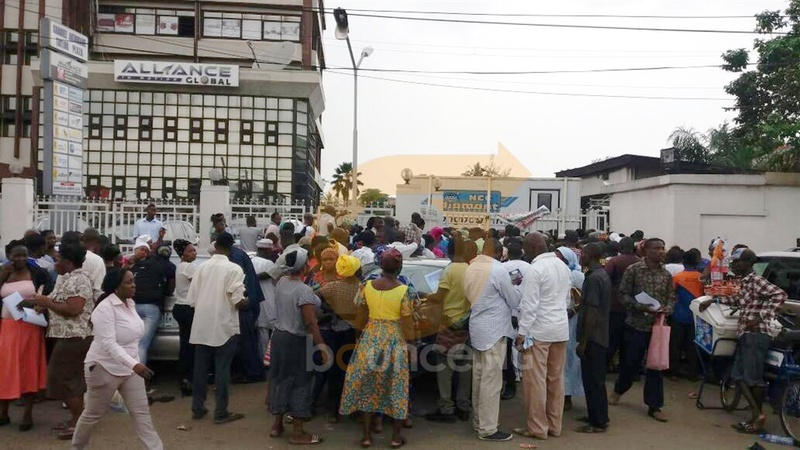 Bounce News was at a location in Ikeja where people gathered to pick forms and discovered that the company had apparently conducted some publicity since Monday on a radio station. 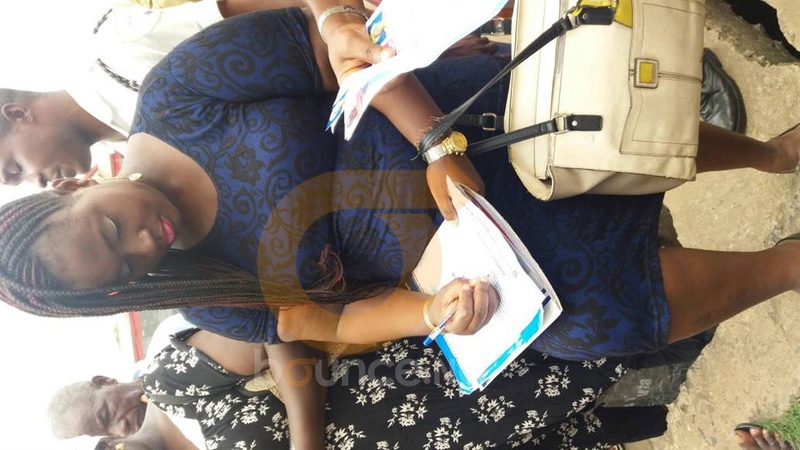 Some of the prospective beneficiaries who were there to pick a form told Bounce News that even though they could not verify the authenticity of the scheme, they must give it a try. “One thousand naira is not too much,” they said. “If you don't buy lie, you may never see truth to buy,” one of them quipped. Another prospective beneficiary who simply identified himself as Kunle said he came all the way from Sango to collect the form. Kunle, who claims to be an artisan says he needed the money for his business, as he believed the scheme could be authentic.